Turkey’s worsening economy, problems in the education system and increasing restrictions on freedoms mean many educated Turks are leaving the country in search of a better life abroad.According to the most recent figures released by the Turkish Statistical Institute, the number of people who migrated from Turkey in 2017 increased by 42 percent year-on-year to 250,640. The primary age group of those who left was 25-29. Twenty-nine percent of those who left last year came from Istanbul, the country’s financial and cultural hub. Un camino que, para Yenigün, experto en la Universidad Stanford, persigue erradicar el pensamiento crítico:«No es la primera vez que las purgas ocurren en Turquía. Suelen producirse con la consolidación del poder político o con los regímenes de tipo golpista. El AKP quiere dominar la producción y diseminación del conocimiento porque se preocupa por lo que pensarán las futuras generaciones». In a Thursday evening panel discussion titled “New Authoritarianism & Democratic Resistance, Reflections on Turkey,” visiting Turkish academics discussed the current socio-political environment, foreign policy and future prospects of contemporary Turkey. Sponsored by The Abbasi Program in Islamic Studies and chaired by visiting postdoctoral scholar Halil Yenigun, the discussion focused on the policies and impacts of Turkish President Recep Erdogan’s consolidation of power. Islamist movements grew in reaction to urbanisation and modernisation in the Middle East, but now those groups are in power and seen to be as corrupt as their predecessors a new wave of secularism could begin to emerge as a result of alienation from the new elite, said Halil İbrahim Yenigün, an academic at the Stanford University Center for Islamic Studies.In the 1950s, political scientists postulated that modernisation would inevitably lead to secularisation, but in Arab countries millions of Muslims turned to political Islam as a result of modernisation and urbanisation. In Turkey, religious groups and political movements also began to organise amongst the conservative poor who had migrated to the cities.The political ancestors of Turkey’s current ruling Justice and Development Party (AKP) tried to rally the poor, both workers and small business owners, around the concept of social justice. Meanwhile religious groups like the Gülen movement tried to provide better access to education. 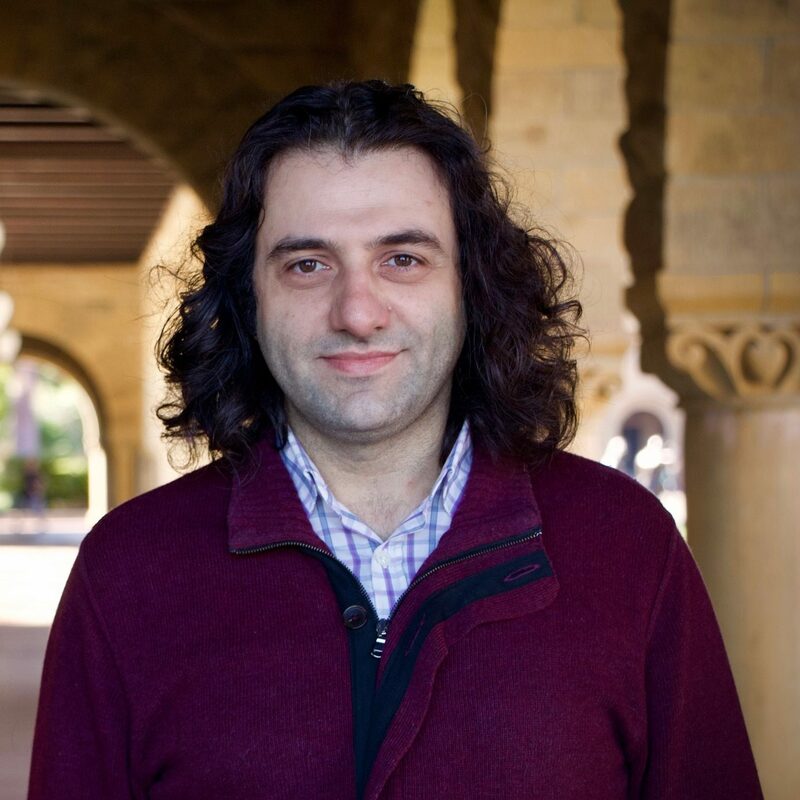 Halil Yenigun is a visiting postdoctoral scholar at Stanford’s Abbasi Program in Islamic Studies, who left Turkey in 2016 amidst a government crackdown on dissenting academics. In the below interview, Yenigun shares his story of advocating for democracy, human rights, and peace in Turkey, and calls for “global democratic solidarity” across borders to keep invasive governments in check. Halil Yenigün was supposed to be at the press conference that led to his friends’ arrest, but had to cancel at the last minute. Yenigün is one of more than 2,000 signatories of a petition to the Turkish government by a group called Academics for Peace. The January 2016 petition called for the end to state violence against Turkey’s Kurdish citizens . Almost immediately, President Recep Tayyip Erdoğan began denouncing the signatories, insinuating that they were equal to terrorists . In March 2016, three academics, friends of Yenigün who had signed the petition were arrested days after they held the press conference that Yenigün had planned to attend.They would not be the only ones; more than 1,000 signatories are subject to legal consequences. Many others have left Turkey, and now have to rebuild their lives.Yenigün was one of the first to feel the impact of his support for the petition. On Jan. 15, Yenigün was suspended from his position at Istanbul Commerce University and on Feb. 22, he was fired. That was a signal to any other university or organisation thinking about hiring him. He was disinvited from panels and speaking engagements in the wake of the university’s decision. Assistant Professor Halil İbrahim Yenigün was dismissed from his position at İstanbul Commerce University after a 40-day suspension for signing the Academics for Peace petition and the publication of a column by a government mouthpiece targeting him.